In a keynote address at the mHealth Summit, Microsoft chairman Bill Gates proposed a solution to a problem that has been facing health administrators for as long as anyone can remember. 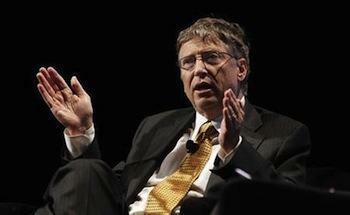 Registering births, and having parents be diligent about vaccinating children, has been a concern, especially in developing countries, and Gates believes he may have a high tech solution. these capabilities, medical personnel could also be dispatched to various locations to administer vaccines. Gates focused on implementing the program in areas like Nigeria and India where vaccination rates are extremely low, but I could see this being implemented in the United States as well. Keeping kids up to date on their vaccinations is a challenge whether they are living in a third world country or the wealthiest nation on the globe. This new system would be an especially helpful program for those not educated about the importance of childhood vaccinations. Even in our modern society, there are still those people not familiar with the importance of childhood vaccinations and the complications they can help prevent in the growing and adult years. This is not something that I think Gates would want to profit from as The Bill and Melinda Gates Foundation has given billions of dollars to non-profit organizations and causes over the years. In fact, they have given so much money to charity they are know as the most generous philanthropists in America. TechnoBuffalo readers get your thinking caps on and tell me how you would implement mobile technology to improve the health care system in the United States and around the globe.